Jamison High School has a rich history that has influenced our values and identity. The Dharug people were the original inhabitants of the Penrith Valley, the traditional owners of the region, and we continue to maintain a close relationship with our community. Our school is named after Sir John Jamison, a local doctor, politician and landowner, in commemoration of his contributions to Jamisontown. 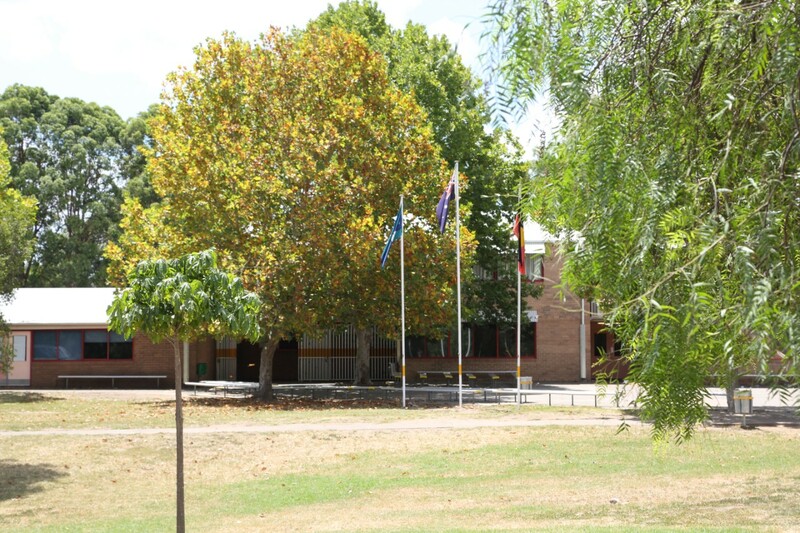 Our humble origins began in 1982 when our school first opened in a demountable accommodation on the corner of Fragar and Tukara roads in South Penrith. We later moved to our current location on the corner of Evan and Maxwell streets in 1985. These locations have now become the name of our school houses. We are an inclusive school that has always catered for a large, diverse student population. 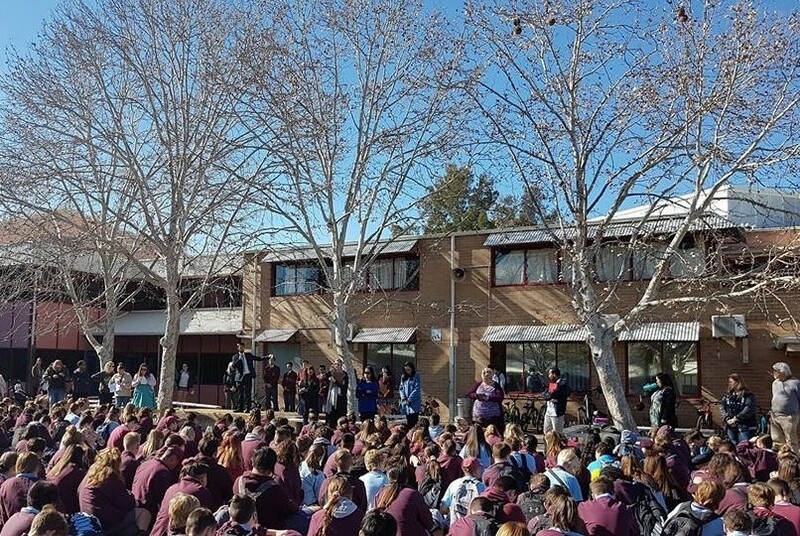 At its peak enrolment in 1992, Jamison High School was the largest school in New South Wales with 1569 students. Currently, we have over 980 students. 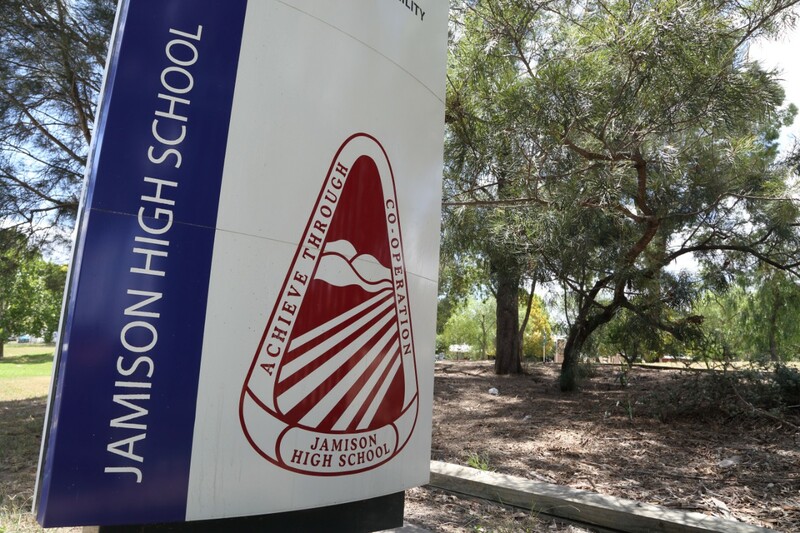 Today, Jamison High School is an outstanding, comprehensive high school with an established culture of success in academic, cultural and sporting achievements. Our innovative curriculum, impressive teaching staff, and dynamic learning environments will ensure we continue to build upon our reputation well into the 21st century. At Jamison High School, our motto is "Achieve through Cooperation." We value Safe, Respectful and Aspirational Learners. This philosophy is reflected in our school logo. Our motto borders the Blue Mountains in the distance with six diagonal lines representing the six years of secondary school, flowing strongly towards them. We encourage all students to strive to accomplish their personal best and take the opportunities provided by the school to reach these goals. We foster a sense of cooperation through positive, supportive learning environments and encourage all pupils to respect and inspire each other.